After two years of contraction, the economy in Romania will start to recover in 2011. 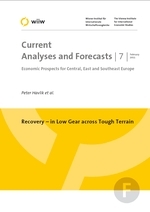 A return to the pre-crisis boom is impossible owing to constrained external financing; however, a mini-boom can be expected in the election year 2012. In all likelihood, this will be followed by a new wave of fiscal stabilization and growth deceleration. Drivers of this economic cycle are already visible in the current government plans, but the actual magnitude of economic growth will hinge on the economic policy selected and the response of the capital markets.